Ringtail run with Santa - Ringtail Emergency Lighting. 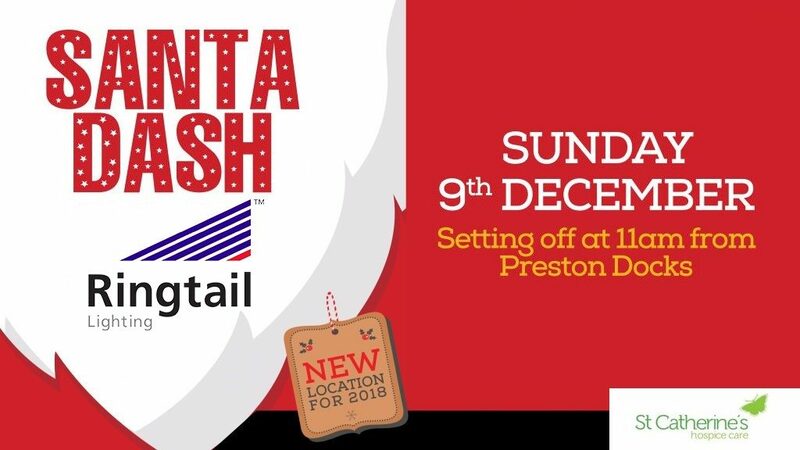 We are all very excited to be joining in this years Santa Dash at the Preston Docks, organised and on behalf of St Catherine’s Hospice. On Sunday 9th December Jayne, Andrew, Emma, Jodie, Joan, Julie and Chris (with Belle the labradoodle) will be donning the famous red suit and attempting the 5K run, some more likely to be successful than others (Jayne). St Catherine’s Hospice is a local charity which is there to help people in our community affected by serious illness. Their vision is that they want everyone in Central Lancashire facing life-shortening illness to experience a good quality of life and, when the time comes, comfort and dignity in death. Please help us to raise some much needed money for a great local charity doing a great job.